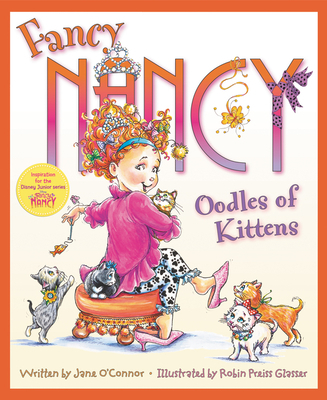 Fancy Nancy returns in a purr-fect story about felines, canines, and making new four-legged friends! A hardcover picture book from the dazzling New York Times bestselling duo Jane O’Connor and Robin Preiss Glasser. After finding some of the kittens good homes, Nancy and Bree each get to keep one for themselves. That’s until Nancy’s new kitten meets her posh pup, Frenchy. Will Nancy’s two pets ever get along? Will Nancy be able to love them both the same?